Is It Time to Update Your Sola Webpage? Let’s face it - we live in a world where consumers rarely make decisions without first visiting the web. When was the last time you went to a restaurant or paid for a service without searching Google to find pictures and info? Whether we like it or not, the web has changed the way we find, interact with, and review businesses. This might sound intimidating as a small business owner, but the good news is that at Sola, we have an incredibly powerful (and FREE) way to get new eyes on your business every day. 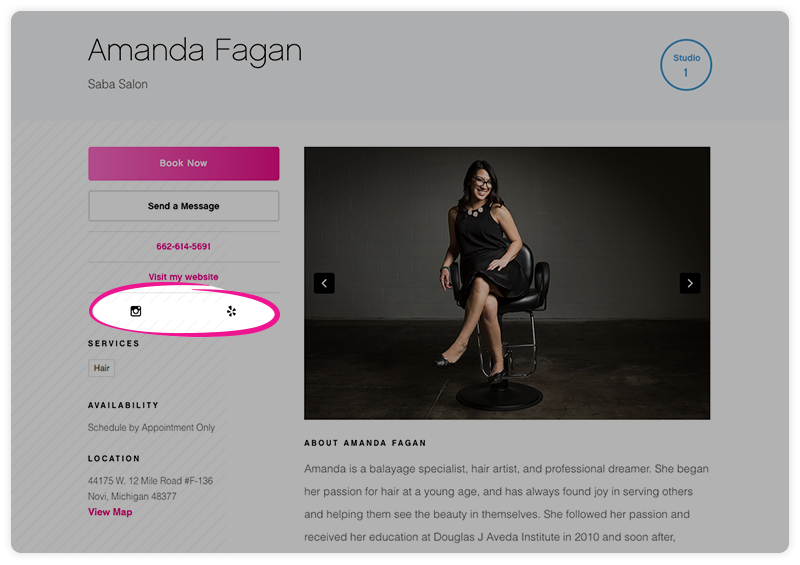 We’ve added functionality to our website to invite each of our independent salon owners to create a compelling and beautiful webpage – and the best part is that it’s simple for you to manage yourself. 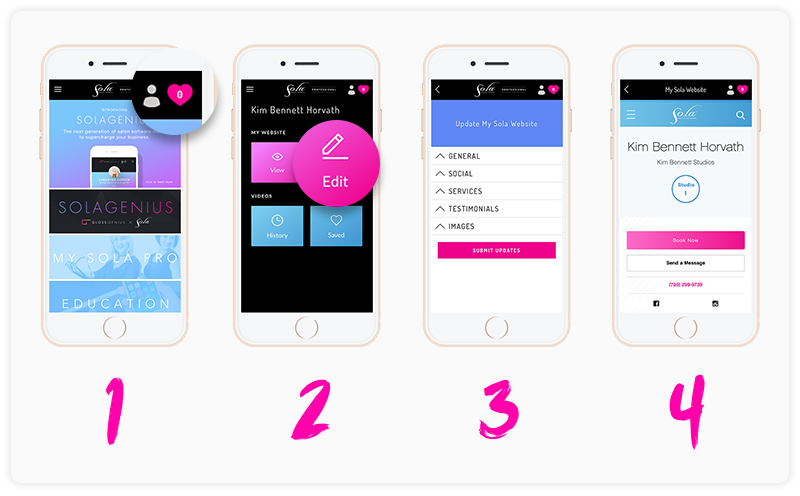 All you have to do is keep your contact information, details, and pictures up to date on Sola Pro, and your webpage will speak for itself! 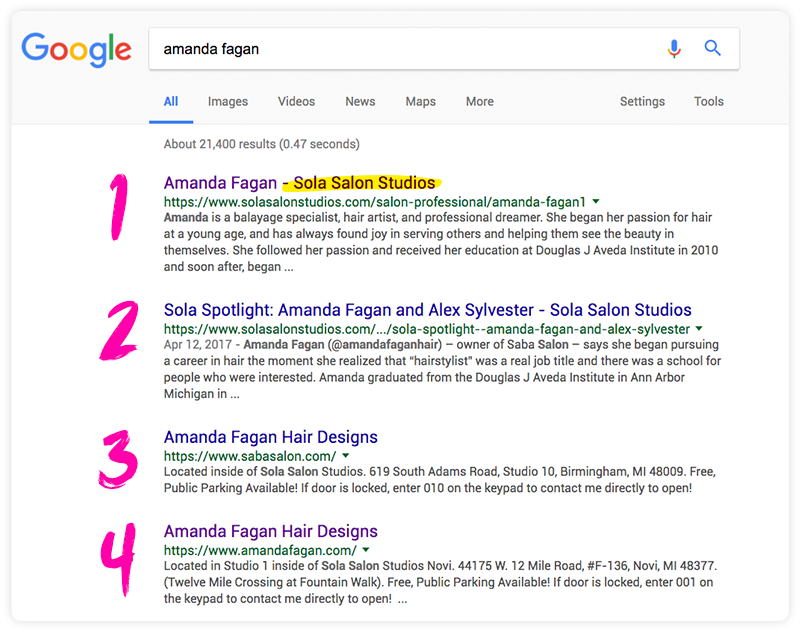 When you Google yourself - even if you don’t have a robust Sola webpage - chances are that your Sola webpage comes up high in search results. This is because search engines assume that the more popular a site is, the more valuable its information must be. Check out the image below. 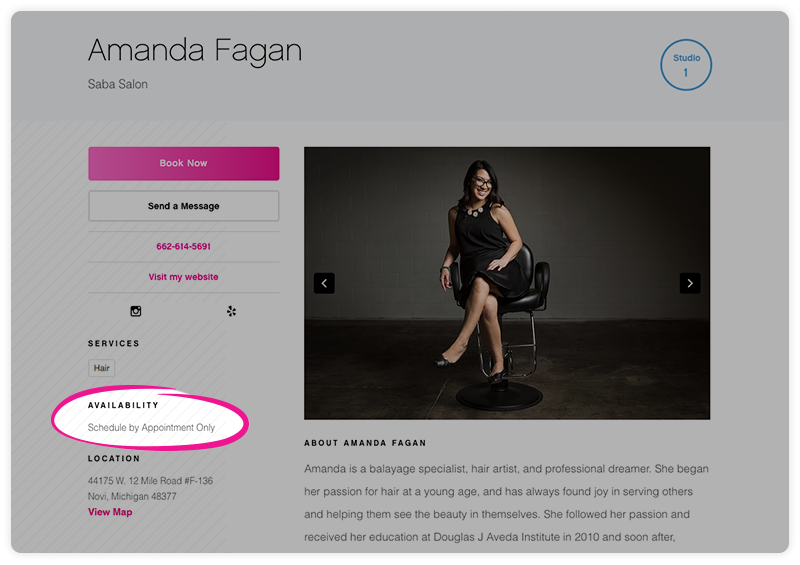 As you’ll see, Amanda Fagan’s Sola webpage comes up in the Google results higher than her personal salon websites. On average, the Sola website gets nearly 200,000 visitors a month! Which means if you don’t take advantage of customizing and building your Sola webpage, you’re missing out on huge business opportunities. At Sola, your time is money. Which is why we are huge proponents of 24/7 online booking. Seriously, we cannot stress enough how valuable online booking is to your business. Make sure to add the URL for your booking site to your Sola webpage so that customers can book on their time. With SolaGenius, your booking link will be automatically added to your webpage. For more information on becoming a SolaGenius, CLICK HERE. This goes without saying - people need a way of reaching you, whether by email or phone. We also have a contact form built right into your Sola webpage that will send messages to your preferred email address. Make sure this info is correct on your Sola webpage because we send tons of leads to the Sola website every day. 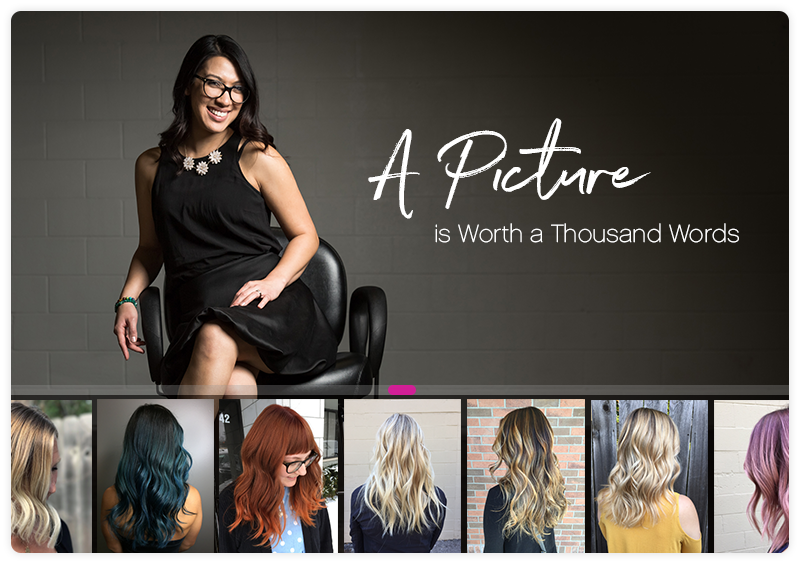 People are sold on visuals, and as a Sola stylist, you have so much to showcase! Include photos of your beautiful studio, a few images of your work, and of course, yourself! Let your personality shine through your photos. Envision your Sola gallery as your top 10 on Instagram. Write a detailed bio that brings a personal touch to your webpage. What’s your background, and why are you passionate about making people feel beautiful? Do you participate in ongoing education and training? What’s your artistic style, and what are your specialties? What’s the culture and vibe of your studio and how will people know if it’s the right fit for them? The more familiar consumers feel with you, the more likely they are to book an appointment. 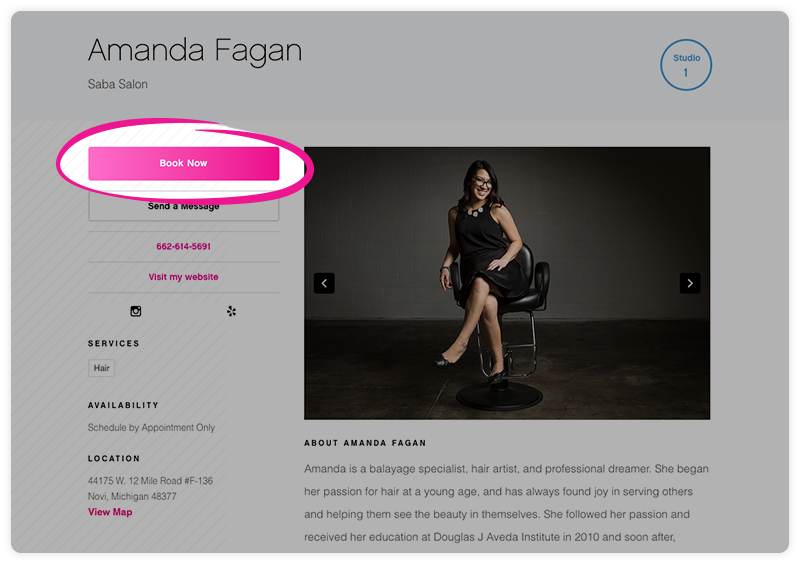 If you already have a salon webpage – that’s great! 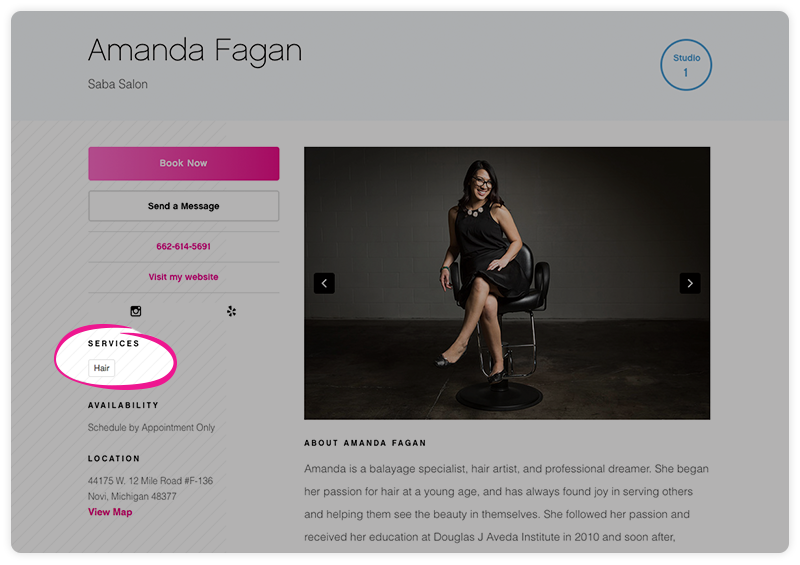 You can easily link to your personal salon website and provide potential customers with even more information on who you are as an artist and salon owner. You want to reach a larger audience, right?! Take advantage of the different ways you can engage with potential customers via social media. For instance, Instagram invites people on a visual journey of your work, whereas Facebook allows for more in-depth conversations and advanced sharing capabilities (through links and longer-form videos). Since you’re the boss and make your own hours, don’t forget to let your customers know when you’re in the salon (and when you take much-deserved time off)! Chances are you’re well versed in more than one service. Are you a stylist that also does makeup? Or an esthetician that also does nails? Make sure to list all the different services you provide, since “Filter by Service” is another search option on the website for customers to find you. People value reviews before making a decision and want to know why they should visit your salon. Your clients are walking and talking advertisements for your beautiful work. Let them sing your praises! Already included, for your guests' convenience! Log into Sola Pro (if you haven’t yet downloaded our exclusive – and free(!) – app, make sure you do so by visiting the Apple or Google Play stores). Voila! That’s it! Once your studio manager reviews the changes, your website will be live. As a small business owner, your Sola webpage is one of the most powerful marketing tools available to you. Make it shine, and new business will follow!